For those of you that have the misconception of power metal being some sissy genre full of pansies frolicking around a campfire telling tales of dragons and fair maidens, look at that album cover and then go through the that thought process again. 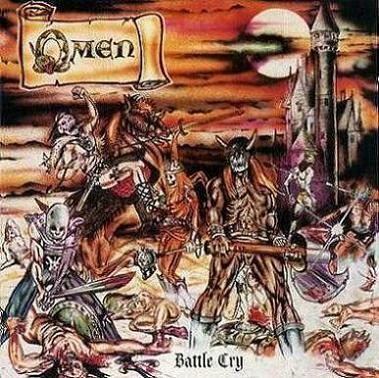 Omen's "Battle Cry" is far from a lightweight of a metal album, and 28 years later, this record still kicks copious amounts of asses. 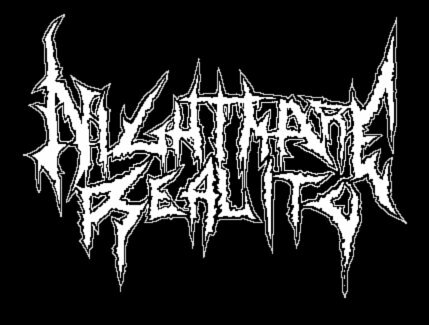 A pretty decent, one-sentence descriptor of this band would be Dianno-era Iron Maiden on crack. Kimball's vocals aren't quite as epic or melodious as those of Warrel Dane, Hansi Kursch or even Rob Halford, but they suit the music perfectly. Kimball's vocals are definitely a bit more rough than the singers that were just mentioned, but that reflects Omen's music perfectly as they aren't as melodic as bands like Sanctuary or the European power metal bands, they were just fast, heavy and catchier than your everyday metal band. Just take a listen to the chorus of "Dragon's Breath" and within minutes of hearing that song the riffs and vocals will be stomping through your head, forcing you to replay the song to hear "Give us all, Sanctuary! Dragon's Breath! We Fear!" Another amazing aspect of "Battle Cry" is that there isn't much variation that goes on throughout the album, yet every song is memorable and doesn't bore the listener. A lot of the songs feature some melodic pieces, though they are usually faster, like on the intro to the track "Last Rites," mixed with some nice riffs that aren't anything too special, but they get your headbanging and mesh with everything else perfectly. The Maiden influence on this album is definitely prominent, but being a massive Maiden fanboy I see no harm in that. The riff that kicks off the song "Die By the Blade" absolutely reeks of "Killers" influence and a lot of the standard riffing that goes on like on the song "Death Rider" really owe a lot to the British masters. "Battle Cry" is definitely a landmark album, for not only US power metal, but the entire power metal genre in general with its more violent approach to the lyrics and artwork, as well as its undeniable catchy, anthem-like choruses and riffs. If this album isn't one that you have got to yet, or one that you found to be entirely unenjoyable, then you had better lock your doors because the Axeman will have you bound and gagged.